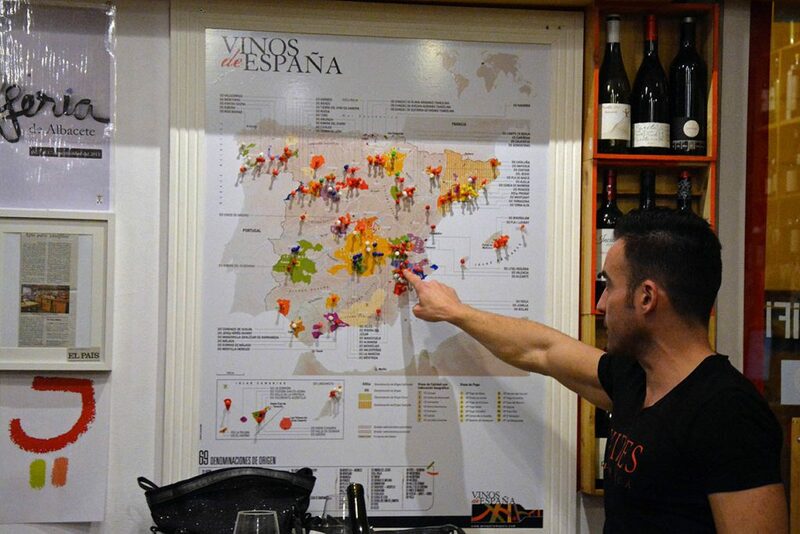 The prestigious Guia Vicentin is produced by choosing the best wine from each place. Therein large company wines aren’t considered although they can be great wines. We are interested in small, family business and care projects, and high quality productions. All the wines belonging to us are previously tasted and we can assure it’s a guarantee of success in the cup. We want to have a different menu and be known for hiding from commercial wines that could be found in any bar or supermarket. We offer 125 wines, 75 different ones and 65 variety of grapes. 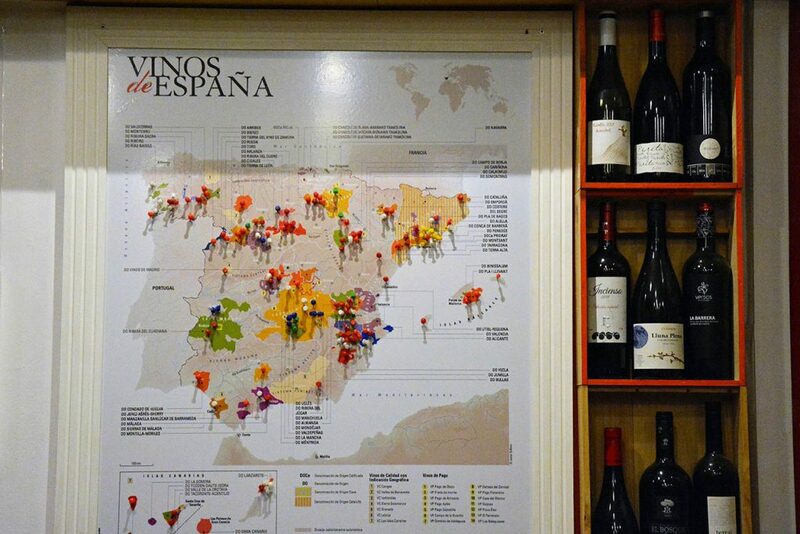 All the wines are made in Spain. By glass we have 45 different ones and each week we give the option to try our “wines of the week”: unique bottles that we open for one week so you can have the opportunity to try our high range wine by glass (between 3€ and 12€). And the best? They are in continous update. From Comunidad de Valencia we have Utiel-Requena, Alicante and Castellón. From Castilla Leon: Ribera del Duero, Sierras de Salamanca, Valles de Benavente, V.T. 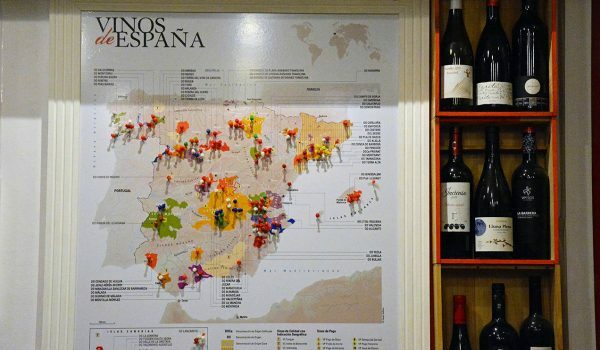 Castilla, El Bierzo, Cigales, Arlanza, Arribes del Duero, Rueda, Heredad de Urueña, Toro and Tierra de León. 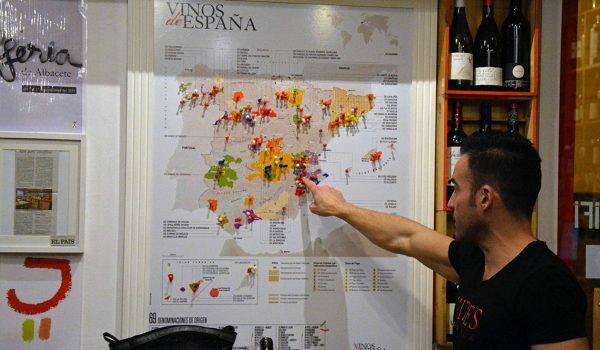 From Aragon: Calatayud, Campo de Borja, Cariñena, Somontano, Ribera del Xiloca and V.T. Bajo Aragón. From Navarra Dos Pagos: Arínzano y Cirsus. 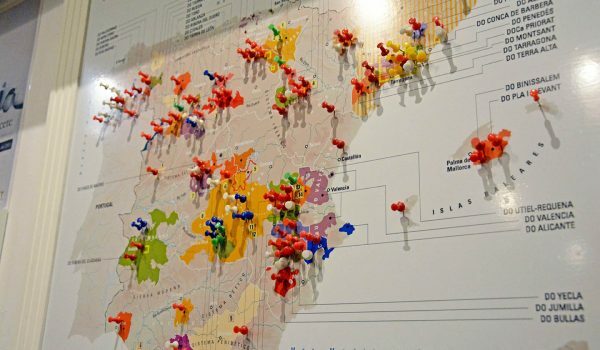 Cataluña: Priorat, Penedés, Alella, Empordá, Cava, Costers del Segre, Montsant, Terra Alta, Pla de Bages and Conca de Barberá. Galicia: Ribeiro, Rías Baixas, Monterrei, Valdeorras, Ribera Sacra and Barbanza e Iria. 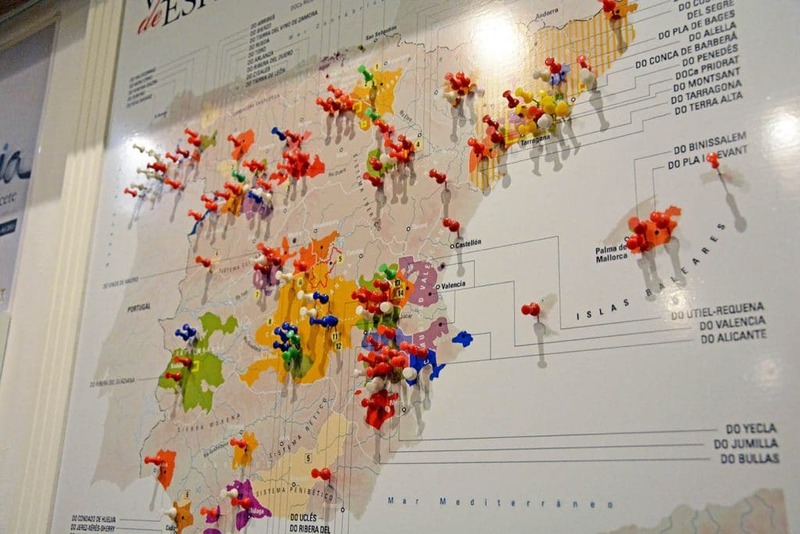 Andalucía: Ronda, Sierras de Málaga, Condado de Huelva, Montilla-Moriles, Ribera del Andarax and VT Granada. Extremadura: Ribera del Guadiana and V.T. Extremadura.